Evolving Attitudes Toward Chinese Food in the U.S. 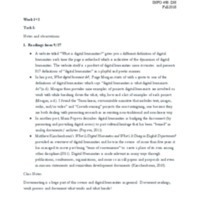 Welcome to 'An Introduction to Digital Humanities', a no-prerequisite undergraduate survey course intended as an introduction to the concepts, methodologies and ongoing projects in this developing and exploratory field. 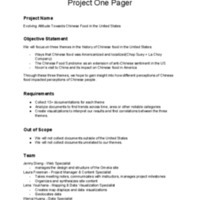 Students have worked with primary source material related to historical menus in this class. They have used New York Public Library's 'What's on the Menu' project, as well as Gale Primary Sources to create and curate data sets. Seven project groups worked to develop and hone their research focus for the quarter, using digital analysis tools to identify recurrent or interesting themes in their broad menu data set. Students used Gale's Digital Scholar Lab for content set creation, cleaning, analysis and visualization. 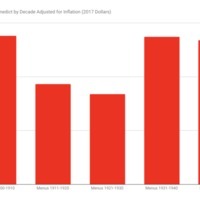 They also used Voyant, Lexos, OpenRefine, Google Fusion Tables, Clavin Geoparser, and Storymap JS for text analysis, mapping and digital storytelling. 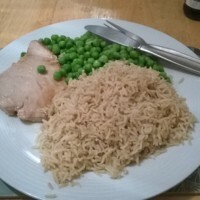 This website is built using Omeka. Each student team created a digital exhibit to present their research and analysis, which you can explore following the links in the sidebar. The course was taught by Dr. Sarah Ketchley with stellar support from TA Satvik Shukla. Guest lecturers enriched the learning experience with their expertise, and included the iSchool's Helene Williams (copyright, digital libraries and skills for the job market) and Gale's Ray Bankoski and Michelle Fappiano (OCR, creating a digital archive). Thanks to all. 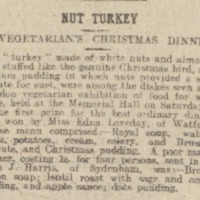 Screenshot of newspaper article describing a "nut turkey", a vegetarian alternative to meat diets during wartime. 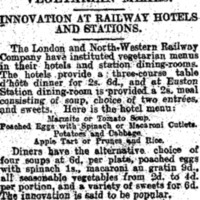 Screenshot of news article detailing the new vegetarian menu unveiled for the London and North Western Railway hotels and station dining rooms. 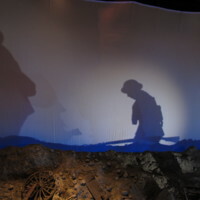 A photograph of the Battlefield Tableau from the National World War I Museum in Kansas City, MO.